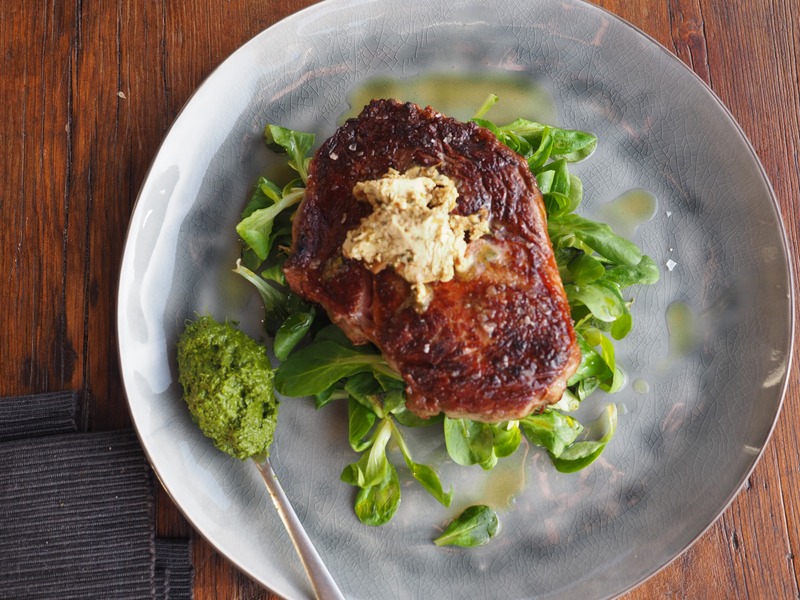 There’s lots of conjecture on how to cook the perfect steak, from flipping twice only to every 15 secs. I reckon it’s somewhere in-between. I tend to flip it at least four times and more if it’s a thick steak. This helps to cook it more evenly. Allow the steak to ‘rest’ for 5 minutes once removed from heat. For the Salsa Verde throw all the ingredients in a blender and process for 20 seconds – boom! Add more oil if too thick. I served this recipe with some salsa verde and herb butter.